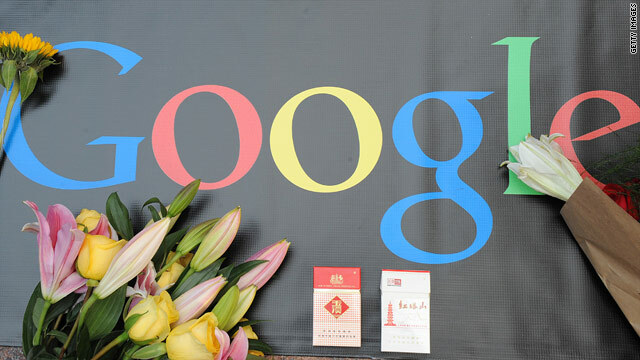 Google says it has been the victim of cyber attacks in China. Washington (CNN) -- China fired back Friday, saying the United States is damaging ties between the countries by highlighting cyberattacks alleged by Google. The search-engine giant has threatened to pull out of China, saying that Chinese hackers have targeted Google and up to 34 other companies. In a speech on Internet freedom and security Thursday in Washington, U.S. Secretary of State Hillary Clinton urged China to investigate such attacks, saying they raised "very serious concerns." Clinton's agency has said it will file a formal protest over Google's complaints. In response, Ma Zhaoxu, a spokesman for China's Ministry of Foreign Affairs, said Friday: "We're firmly against this statement that goes against truth and damages U.S.-Sino relationship." The Chinese government has said that the Google case is a business dispute and should not affect relations between the two countries. Speaking Thursday, Clinton said the Internet and other technologies are critical to foreign policy, and those who engage in cyber attacks should face international condemnation. "China has its own national conditions and cultural traditions," Ma said Friday. "China regulates the Internet according to laws, which is in consistent with worldwide norms." Chinese laws forbid Internet hacking and violation of privacy, he said, adding that "China encourages cracking down on Internet hacking by strengthening international cooperation and protecting Internet security and citizen privacy according to the laws." This month, foreign correspondents in at least two Chinese bureaus of news organizations had their Google e-mail accounts attacked, with e-mails forwarded to a mysterious address, according to the Foreign Correspondents' Club of China.